Every company who wants to be successful today has to consider the Internet for marketing activities. And it’s not just about Google and Co anymore when it comes to advertising. If you want higher reach and cheaper advertising, social media is the key. Almost half of the world population is active on social media today. That’s huge! It’s not just a means of keeping in touch with friends, but also a way to get information and recommendations. Social media is today’s word of mouth. Users talk about their experiences with companies online. To get you started with your social media marketing, we summarized some of the most important things to pay attention to. Of course, you have to adapt all the following tips to the core of your business and your business goals. If you want to be successful on social media you have to establish a virtual personality for your brand. 1. Which platforms should you be active on? The first step is to choose which social media platforms you want to be active on. Facebook for example allows you to create a business page. When setting up the page it’s important to fill in as much information as possible. Users don’t like it when essential information such as opening hours, address and more are missing. Moreover, you can use keywords in your description to help users find your page when they are searching for specific topics. On Twitter you can also create a profile for your business. You can’t add as much information about your business as you can on Facebook, but you can gain brownie points with posting regularly and frequently. Have you heard about the saying “tween when you eat”? This is about how often you should tweet on Twitter. Of course, there are many other social media platforms such as Instagram, LinkedIn, Pinterest, Google+, Snapchat, YouTube, Medium, Vimeo etc. In the end you have to decide which platform is relevant for your business and where you can attract your audience best. To begin with, it makes sense to start with one or two platforms. Images have long found their way into social media marketing. If you scroll through your news feed on a mobile app, almost all you can see on the platforms is visual content – large images and little text. It would be even better to start using animations/GIFs or short videos. The reason why visual content attracts our attention on social media, is that the human eye first reacts to movement, then images, then numbers and text. Every entrepreneur knows how important it is to know their ideal customer and buyer persona. It’s just about the same for social media marketing. Ask yourself “Who do you want to attract?”, “How old is your target audience?”, “In which field are they working?”, “Do you want to attract a young and hip generation or rather conservative people?”. If you define those points beforehand, it will be much easier to implement the right social media strategy. You will know which platform to choose and which content to post. Facebook and co seem to be even harder on you than Google when it comes to showing your posts in the News Feed of others or suggesting your page. If you aren’t active on your page, you will get lost in the News Feed and people won’t see your posts anymore. The only way to show up in News Feeds is to post regular and interesting updates. You have to post and tweet frequently to stay in the pool of active accounts. Make sure your posts are valuable and informative to your users. From time to time you can also post about updates from your own business. They don’t always have to be actual product updates but can also be about something that your users don’t know yet. Maybe you are struggling to get more followers on your Facebook page. Over the last years it has become even more important to think about why your audience should like your page. Good content plays a major role, but so do factors like service, availability, support and the direct communication between you and your customers. Are you reachable via Messenger? Do you reply to direct messages on Twitter? Another tip to mention here is being active in groups. On Facebook and LinkedIn you can find numerous groups for almost every interest. It’s a good way to make connections and create awareness for your business. However, be careful with self-promotion! Sometimes there are dedicated threads in groups where you can promote your own page or posts, but other than that try to stay away from it. Group owners might ban you if you only promote your business. Rather use them to connect, share your knowledge and to help others. Engagement such as likes, reactions, comments and shares are essential for the visibility of your site and profile. It’s not just about being active on social media, it’s about connecting, sharing information and building trust and relationships with your followers. What do your people want? Is it images, videos, interesting links or live videos? To begin with it might help to research competitors and see what content helps them engage with their customers. Especially small and medium sized business can benefit a lot from a consistent social media presence. Even tough it might seem hard and time consuming to implement a good marketing strategy, there are tools to make the process easier for you. 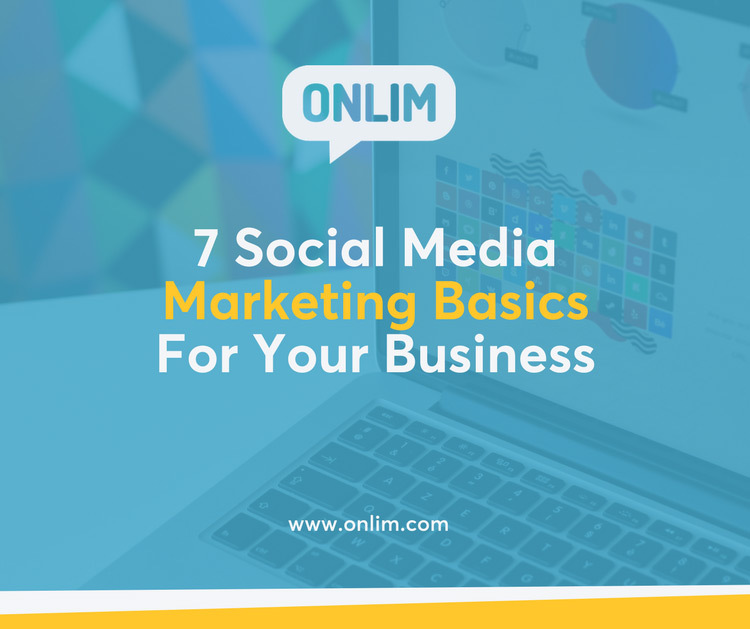 Social Media Management Tools such as Onlim can help you find interesting content and share this to all your social media platforms. They also allow you to schedule posts in advance and to keep an overview of the most important statistics.